Oak Ridge Elementary school is one of the Superintendent’s Priority Schools. As a Priority School, we are focused on developing effective common practices, innovative instructional approaches and a shared belief that all students can and will succeed. Our staff provides meaningful and engaging learning experiences to all students. Culturally-Responsive Teaching and learning practices are used throughout the campus. A balanced literacy approach helps all students acquire literacy through a variety of high-quality and high-interest texts. The Oak Ridge staff is committed to increasing the achievement of all students. We believe that every child has the right to a personalized quality instructional experience designed for achievement at the highest possible level. 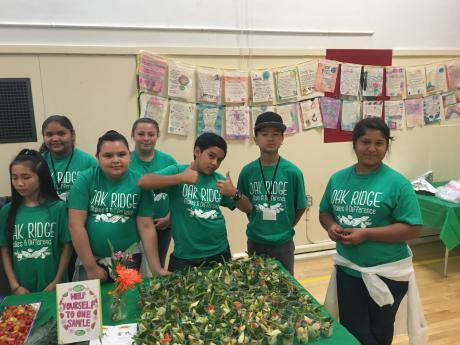 Oak Ridge Elementary School students, in collaboration with sixth grade teachers Whitney Cole and Sarah Wagner, recently hosted an evening to highlight how student action can impact healthy eating. The celebration was the culmination of two months of research focused on educating families and others about “food justice” in their neighborhoods. The night revolved around the development of an IDL (Inquiry Driven Learning) project that the sixth grade classes created focusing on this question: How does food impact the community? 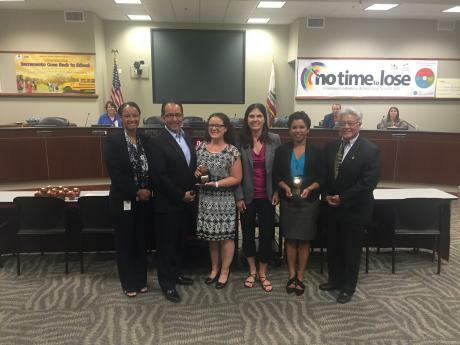 SCUSD’s Board of Education honored two Teachers of the Year and 10 Classified Champions at its meeting on June 4. 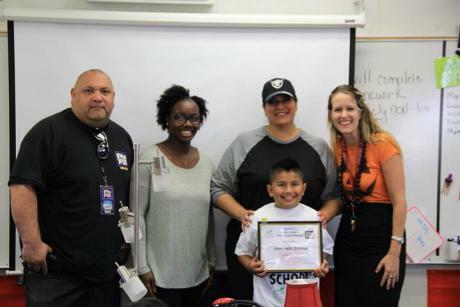 Teachers of the Year are: Stephanie Smith, who teaches third grade at Oak Ridge Elementary School; and Elizabeth Villanueva, who teaches Spanish at Luther Burbank High School. 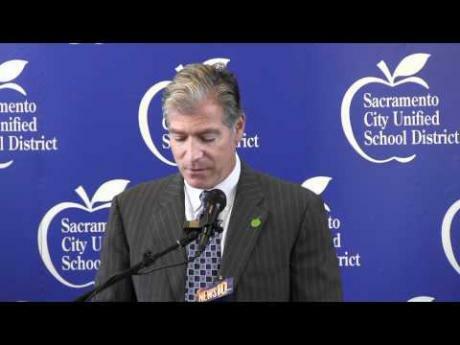 Both teachers will now represent SCUSD in the Sacramento County Teachers of the Year process.